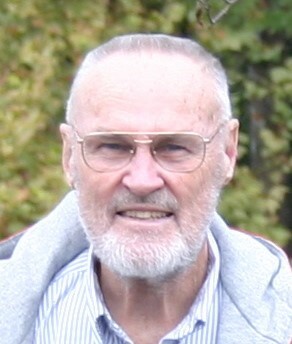 Robert Arthur Henderson, 94, of Urbana passed away at 6:25 a.m. on Wednesday, April 10, 2019 at Meadowbrook Health Center in Urbana. Robert was born in Oakland, California on April 3, 1925 to parents Harold and Charlotte (Peregrine) Henderson. They preceded him in death. Also preceding him in death was his younger brother Alan Henderson. On September 15, 1945 Robert married June Crawford in San Diego, California, while on leave from the Marine Corps. June passed away on June 17, 2003. He is survived by three children; Barbara Kimball of East Highland, CA, Kerrie Dunn of Urbana and Lawrence Henderson of Urbana. Four grandchildren and five great grandchildren also survive him. Robert joined the United States Marine Corps while attending the University of California Berkeley. In 1945, he was called to active duty and reported for training. He received a field promotion to 2nd Lieutenant and was leading a platoon to San Diego to board a transport to invade the Japanese mainland. Before they arrived to debark, the war ended. He was discharged and then joined the Marine Corps Reserve. In 1950 he was recalled to active duty and sent to Korea. On the day he landed at Inchon Beach, his second daughter Kerrie was born. Robert was wounded at the Chosen Reservoir in North Korea and sent to Japan for recovery. He then returned to Korea leading a mortar platoon until he was sent home in late 1951. Robert continued in the Reserve until his retirement in 1974 with the rank of Colonel. After the war Robert returned to UC Berkeley to finish his Bachelor’s Degree in 1947. He then received a Master’s Degree from San Francisco State University. From 1954 to 1957 he attended the University of Illinois and received a Doctorate in Education. In 1962 he returned to the U of I and served as a professor and department chairman for the Department of Education until his retirement in 1994. He then served as a Professor Emeritus until his death.